“Swack”, as he is known on his forum, makes the argument for a light weight .22 as a survival firearm for military personnel. Discussing the AR-7, Papoose, and Springfield M-6, he argues that a lightweight, accurate pistol is a better choice for a soldier. Well I am not a soldier, but contemplating survival guns is an ever present dilemma of mine and I needed a new .22 pistol for the trapline. At least that is how I justified another pistol. Ruger followed suit, and came out with their lightweight version releasing it first in some crappy gold version. When I saw this year’s black version, I sold my old Mark II and pulled the trigger on buying the 22/45 Lite. Weighing in at only 1.5 pounds, it’s name is well deserved. So today while roaming around baiting some cornholes for hogs and foraging a bit, I slipped into the woods to see how she would run. I missed my first squirrel at 20 yards, but put the sneak on another two and connected at about 10 yards. 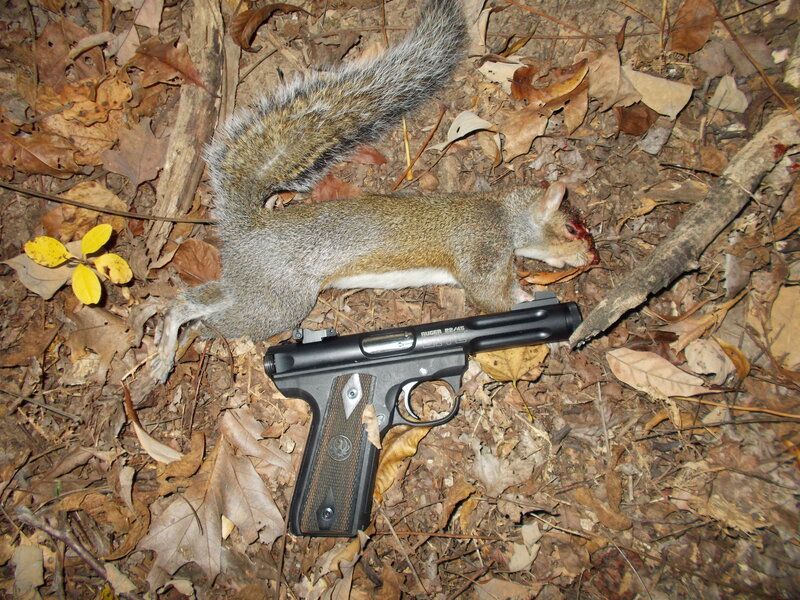 A thinner front blade is definitely on the list, as the blade is pretty thick obscuring the squirrel’s head. Disconnecting the annoying magazine disconnect, a gun light, and a suppressor, since it is already threaded, may be in the picture as well. Is it the ultimate survival firearm? It may be part of the equation. As a secondary to a primary long gun, I think it has great potential. It is nothing the guys over on USRSOG haven’t been saying for years, but I am just excited to have one in my hands. 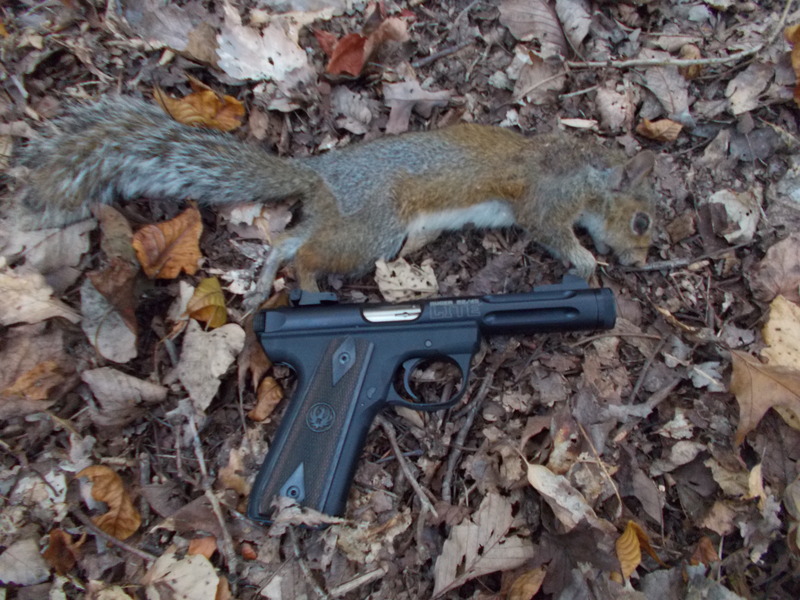 This entry was posted in Hunting and tagged Bills Outpost, Ruger 22/45 Lite, squirrel hunting, survival firearm, USRSOG on October 31, 2013 by bigpigoutdoors.